Decades ago, the role of environment had gone unnoticed in the quest of transforming the cities into a technological arena. With the constant change seen in the adverse environmental and climate conditions, people across the globe have become aware of the impact of global warming. However in today’s era, everything embodies to be smart may it be smart people, smartphones or smart cities. A smart city has intimately connected automated networks, infrastructure and communication through data centres; it is well-known as an advanced urban city or town. Solarizing cities seems to be one of the key steps to take to lay the foundation of a sustainable future, as a better network of technologies and free from the shroud of pollution go well with world’s environment conservation choices. Cities of all sizes across the world are transforming their systems, infrastructure, and operations to capitalize on new technologies and integrate connected solutions. Renewable energy is available in the form of wind energy, geothermal energy, tidal energy, biomass energy and solar energy. Looking at the facts, every region has its own distinctive geographical limits, climatic conditions and the accessibility to a particular renewable resource. For example, the Netherlands was able to increase the take up of renewable energy by just 1.8% from 2010 to 2014; mainly, because of a flat and sub-sea level landscape. However, switching to renewable resources means offering an urban area entirely new energy shape. Solar energy – one of the renewable sources of energy helps in creating smart cities. A major benefit of this source of energy is that it can produce electricity as long as the sun exists and never-ending source. It can be harnessed by installing solar panels which reduces our dependency on non- renewable sources of energy. India has a tremendous scope for generating solar energy. As per the sources, the country is expected to develop 98 such cities in all. These cities will become a role model for ultra modern and energy-saving living. According to Forbes, in several states solar is by now economical than utility power on a dollar-per-kilowatt-hour basis. On average the installation charges are at a more soaring price, but its cost may soon become less down. 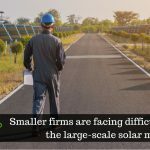 However, an array of efforts to drive downs the cost of installing and maintaining solar panels the U.S. Department of Energy has launched the SunShot initiative. Installing the solar panels is much easier as it does not depend upon any cords, power sources or wires. They are mostly installed on rooftops, and no new space is required to set up these solar panels. Solar panels can also be installed in areas where power lines would be difficult to place, therefore solar energy can also be produced in the remote locations. 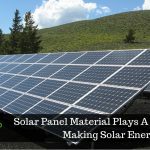 As we know installing solar panels are expensive, but the benefits of installing these panels can be enjoyed for years with minimal maintenance. In future, the panels can always be added as per our needs and would not require a lot of finance. Solar panels do not release any toxic substances and are soundless. Talking about eco-friendly, solar energy serve as a renewable source of energy, an alternative to fossil fuels as it is clean, non-polluting, and reliable. This renewable source of energy does not need storage of radioactive waste or transportation of fuel. As a result, it is one of the most reliable sources of energy that does not injure the nature of mother earth. With the installation of Solar panels, the utility bills have been minimized, and the cost of electricity also cuts down. Solar energy can be used for activities such as warming the homes, water heating and many more. This renewable source of energy has the potential to save up to 20 percent of the energy costs. According to the sources, in all India is expecting to develop 98 such cities which will, in turn, become a role model for energy-saving living and ultra-modern. 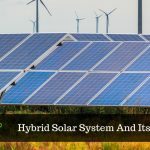 Hence, solar applications like solar water heaters, rooftop solar, solar street lights, etc., which run on solar energy, can go a long way in providing a clean and green living environment in these smart cities.